This is going to be yet another quick posts as I seem to be running out of time and off the schedule this month. I am still trying to get back to track. However I didn’t want to miss doing this wonderful theme I selected. For this week, I am making all those products that are available off the shelf at home. Meaning all those easy to use sauces, mixes and so many things. One of the most commonly purchased and always stocked at my fridge is the Condensed Milk. Infact my kids would love to eat it as such. I keep myself to licking the last of the spoons, apart from that I am not too keen on it. However I have to restrict Konda from licking the whole tin as such. While checking on things I could do, I came across this idea and then I had noted couple of ways. However with the time being so short, I remembered Sandhya doing this so quickly that I resorted to the same method and boy did I like it! 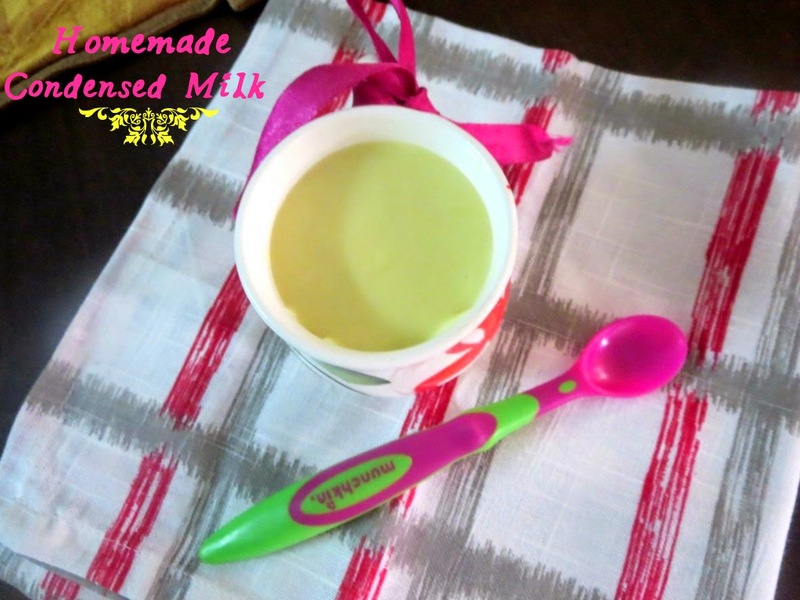 So here’s the quick way of replicating this at home, your very own condensed milk homemade! Measure the sugar and blend it to fine powder, then add the milk powder and pulse it couple of times. next add the butter and blend again. MW water for a minute and slowly add to the mixer, Take care to pulse it once and mix well with a spoon. Since the water is hot and mixer might get heated up, mix first and then blend again. Once done, cream it well. Even I lick the sweetened condensed milk tin so I don't blame Konda. Nice one! This is a very useful recipe. 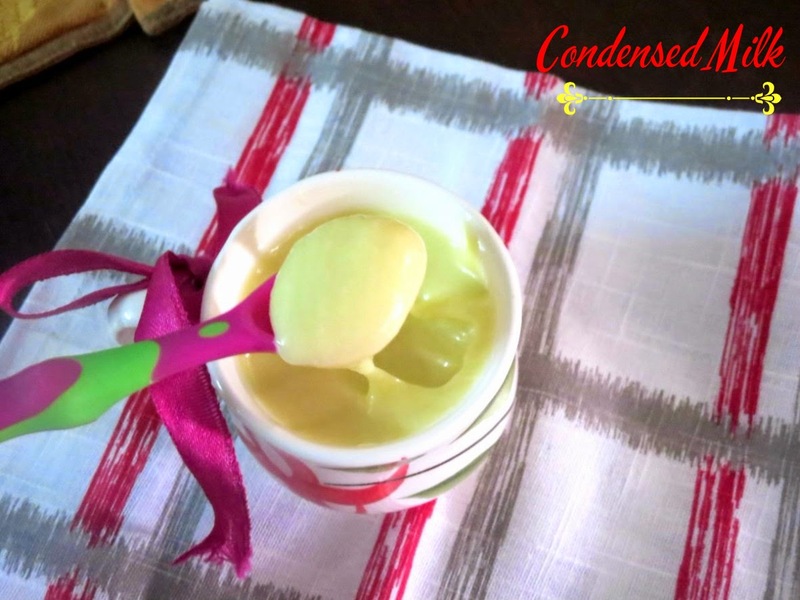 Condensed milk is used in so many shortcut recipes. It is nice to be able to make it at home. 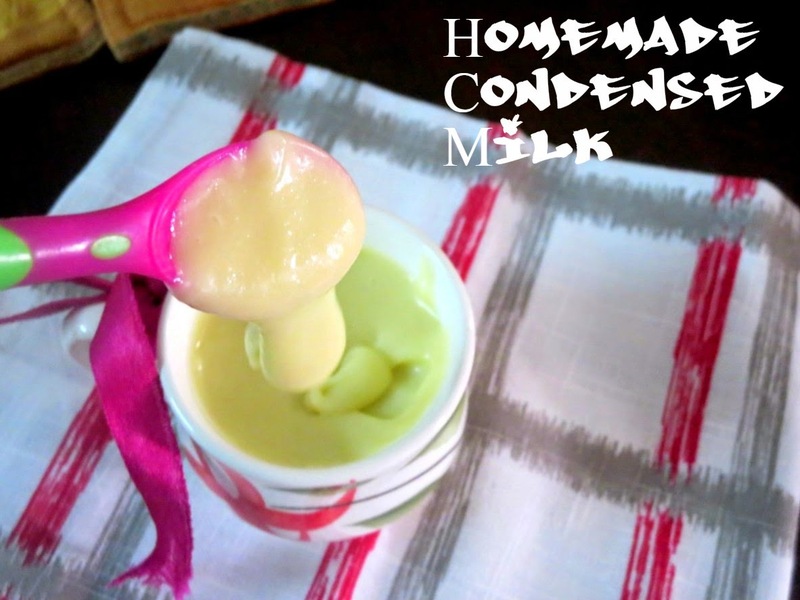 I didn't know it was this easy to make condensed milk at home. Usually I will have a few cans of condensed milk cans in my pantry. However this post comes handy when one doesn't haven't it. Fantastic recipe , this definitely needs to be bookmarked. Nicely made.I had also made it once. 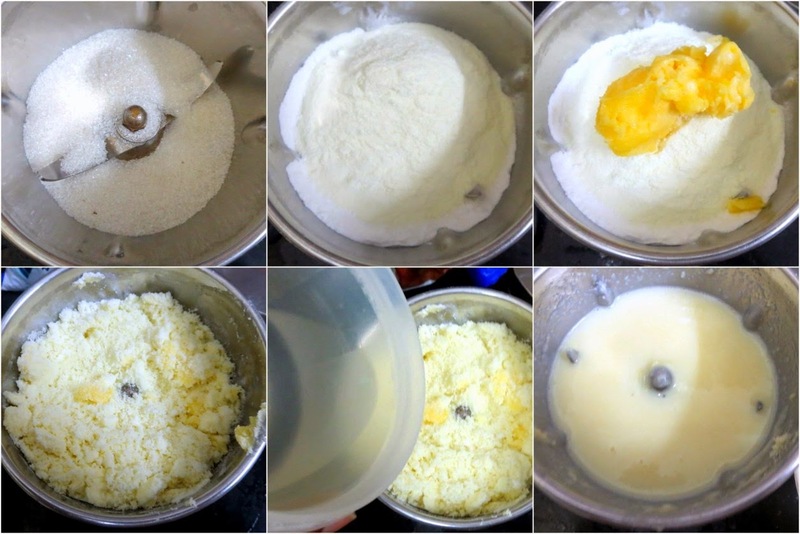 How many grams condensed milk does this recipe make?